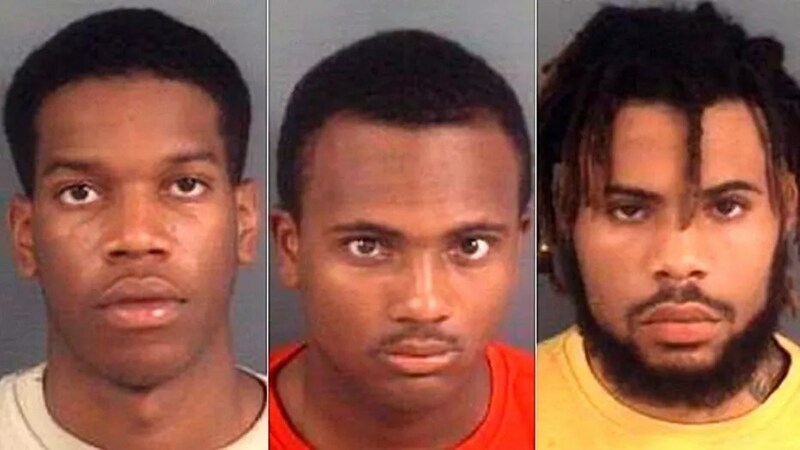 Mug shots for (l. to r.) Ferris Brown, Javier Rashad Johnson and Daivon Tahjai Chambers. All three men were jailed without bond and it’s not known if they have attorneys. They were accused of killing 18-year-old Dareon Tyrese Cook and 32-year-old Jonathan David Goodman who were found in a parked car on Sept. 5 as officers conducted security checks. Cook was pronounced dead at the scene. Goodman died at a hospital on Sept 7. Their car was parked outside a Smokey Bones restaurant in Fayetteville. Fayetteville police said robbery was the motive, WNCN-TV reported. “Part of me is sad over the fact that it was done because of something as simple as a robbery,” Goodman’s father told the station. David Goodman said his son had seven children and an eighth on the way.